PANDORA Rose United Regal Hearts Charm. Two hearts are joined as one and are proudly adorned with a crown, finished in the lavish glow of PANDORA Rose. 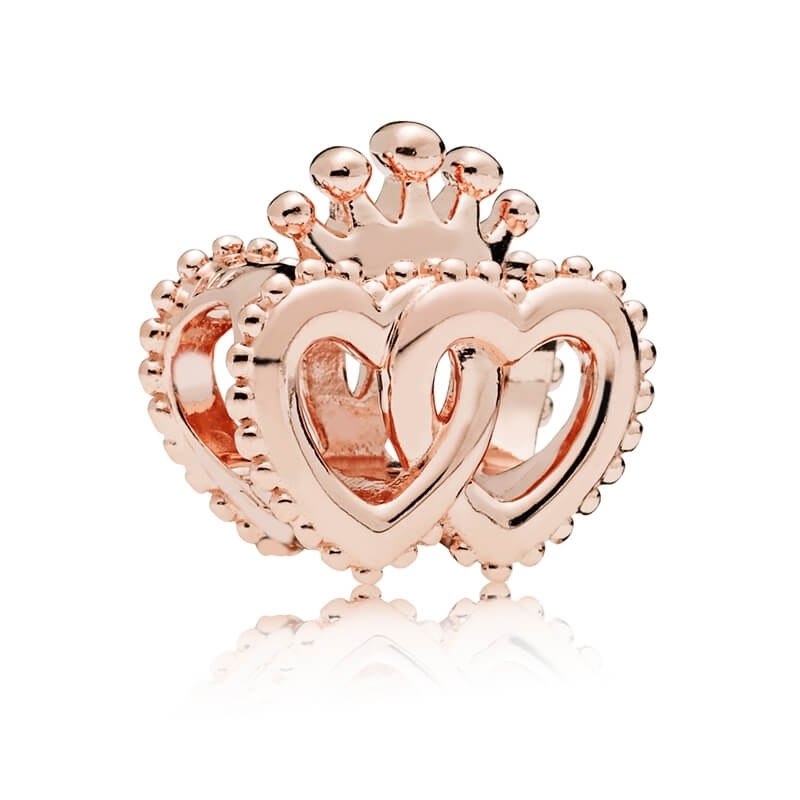 The perfect charm to show her she's the queen of your heart.